A tile roof is one of the best options if you are looking for a roof that lasts long. They are also very beautiful on any property especially if they are installed by an experienced roofing company. As with any roofing material, tile roofs can get damaged. Here are the signs that your tile roof is having issues and that you need to repair them right away. Broken tiles come about as a result of too much wind. Tree branches crash on the tiles and cause the tiles to break. You can go to the roof to see if you spot any damaged tiles. You can call a roofing company to inspect the tiles if you suspect that the damage is extensive especially after a storm. It is advisable to repair the tiles right away to avoid further damage. Tiles should not let water or any moisture penetrate. If you notice that the attic is damp or that there are water puddles in the attic after a heavy storm, them that means that the tiles are damaged. You should check the damaged tiles and replace them right away. Failure to do that will result in mold growth in your attic. This is a very big risk to your health as well as property. This is common in places with strong wind. The tiles are likely to slide and break off. Missing tiles are a huge risk to the roof because there will be damage to the inner parts of the roof once the tiles are removed. This is what will lead to water damage in the attic. It will also result in higher energy bills because there will be cold or heat getting in through the damaged parts of the roof. Failure to replace missing tiles also results in the surrounding areas getting more damaged with time. 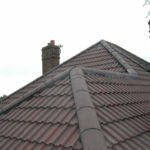 It is best to replace a few tiles rather than an entire roof, which is what will happen if the issue is ignored. Tile particles In The Gutters. Check the gutters when cleaning to see if you spot any broken pieces of tiles. If there are numerous particles then it means that you have a problem. You should check for damaged tiles and repair them right away. Always make sure that you look after the tiles properly and hire roofing services for regular maintenance. This will keep the roof in top shape. Contributed by Roof Restoration Brisbane.